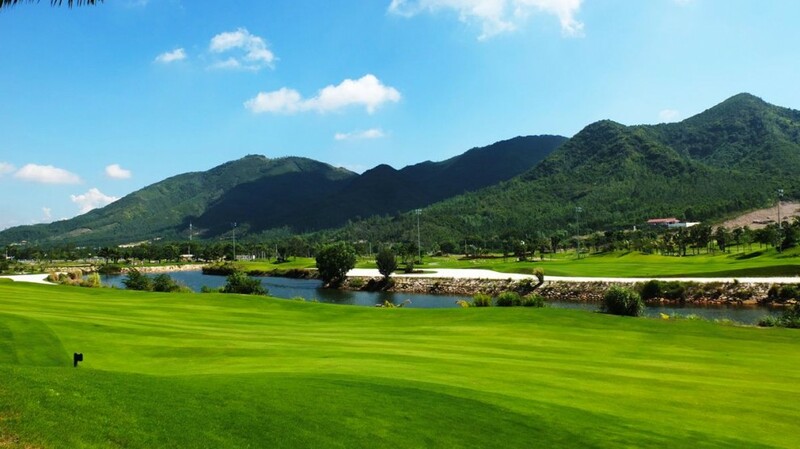 This 18 hole championship course is located near to Nhu Tien beach and only a mere 15 minutes drive from the Cam Ranh International airport and Nha Trang city. To give you its exact bearings it is almost equal distant from Ho Chi Minh City (399kms) and north to Danang (541kms). 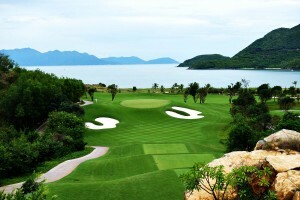 American Designer Andy Dye created Diamond Bay in a majestic setting surrounded by the sea and mountains close to one of the top beaches in Vietnam. 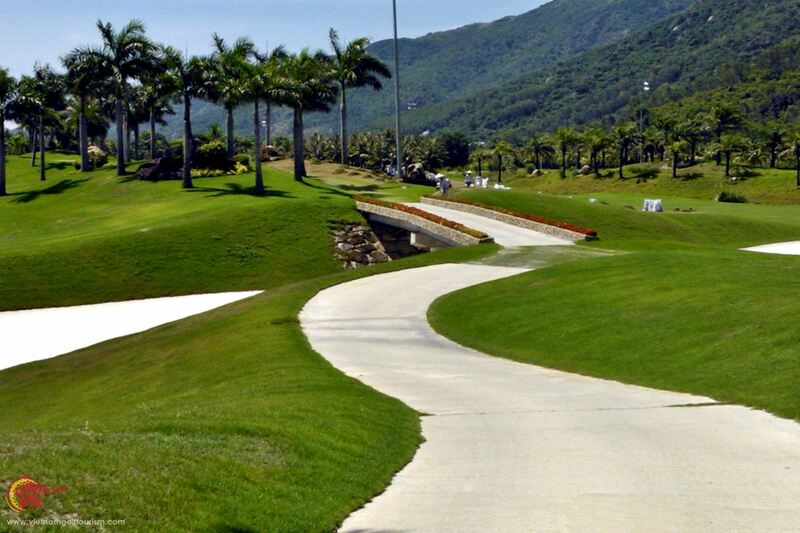 He has cleverly used the amazing views of Nha Trang Bay with white sand bunkers and marsh pines around several small lakes. 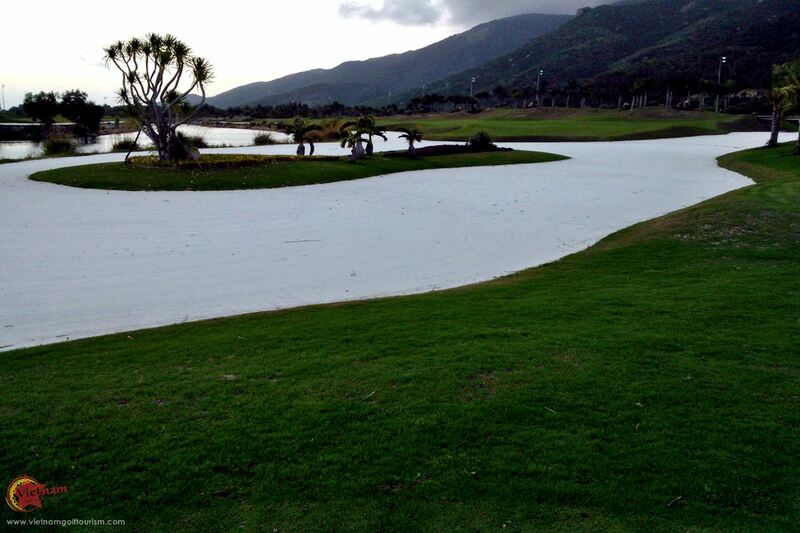 Water comes into play on both nine hole courses named Ruby (3,569 yards) and Diamond (3,675 yards) and they have used Platinum TE Paspalum grassed from tee to greens resulting in an excellent playing surface. 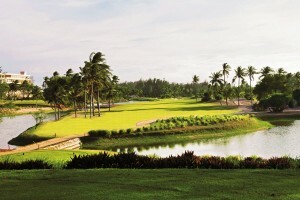 Smiling Hole is their name given to their signature par 3 12th which has been built over the sea, and yes you’ve guessed it….it looks like a smile!!! 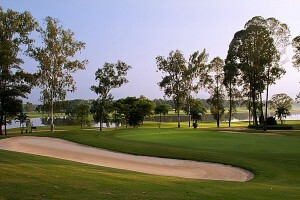 The facilities including their club house and golf villas are 5 star as well.